This is our last experiment, from the show on food network, Barefoot Contessa. Instead of using her recipe for a homemade tart shell though, we decided to cut it short and used a store bought granola crumb pie shell instead. Remove the zest of 4 limes with a vegetable peeler or zester, being careful to avoid the white pith. Squeeze the limes to make 1/2 cup of juice and set the juice aside. Put the zest in a food processor fitted with a steel blade. Add the sugar and process for 2 to 3 minutes, until the zest is very finely minced. In the bowl of an electric mixer fitted with a paddle attachment, cream the butter with the sugar and lime zest. Add– the eggs, 1 at a time, and then add the lime juice and salt. Mix until combined. Pour the mixture into a 2-quart saucepan and cook over low heat, stirring constantly, until thickened, about 10 minutes. The lime curd will thicken at about 175 degrees F, or just below a simmer. Remove from the heat and set aside. Fill the tart shell with warm lime curd and allow to set at room temperature. Once set, serve immediately or refrigerate until ready to serve. We followed the filling recipe exactly, but we were not too happy with the texture. By mincing the zest in the food processor, the resulting texture is a bit grainy for our taste, although the over all flavor was good, not too tart. I think next time, we will grate the zest the usual way, with the rasp, and maybe only use the zest from one lime instead of all 4 limes. We had to have whipped cream over this, so we whipped up some sweetened cream to serve with this. 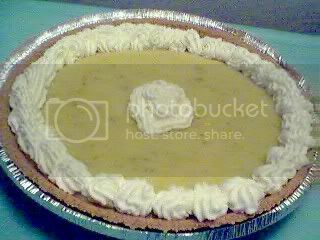 I followed the Barefoot Contessa’s recipe for the lime curd tart to the letter. I cooked it to a temperature of 175 degrees. Poured into the tart from her recipe also, but it never set. The pastry dough was also a disaster. Will never make her recipe again. Hi Stel! Thanks, feeling better, but still no appetite, so haven’t been cooking much either. Hi Rowena! Yep must be spring is in the air, or just this darn cold. The only thing I’ve had a taste for is refreshing stuff, nothing heavy. Hi Obachan! Thanks! It was yummy, just not too crazy about the grainy texture. I’ll have to try it again and see if I can fix that. 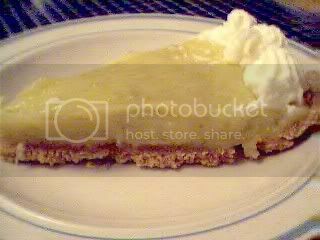 I’ve never tried lime curd tart before, but I can tell that you made a wonderful tart. Hmmmmm… looks so yummy! Lime Curd!!! This is just weird, because while everyone was hyperventilating over caramel for SHF, I was in the mood for citrus flavors….could it be due to the fact that it’s Spring?? Who knows, I’m just happy that I’ve come across a post thinking along the ame lines as I am. Looks yummy! JMom!! glad you’re feeling better and can make us this beautiful lime curd tart…ahh.